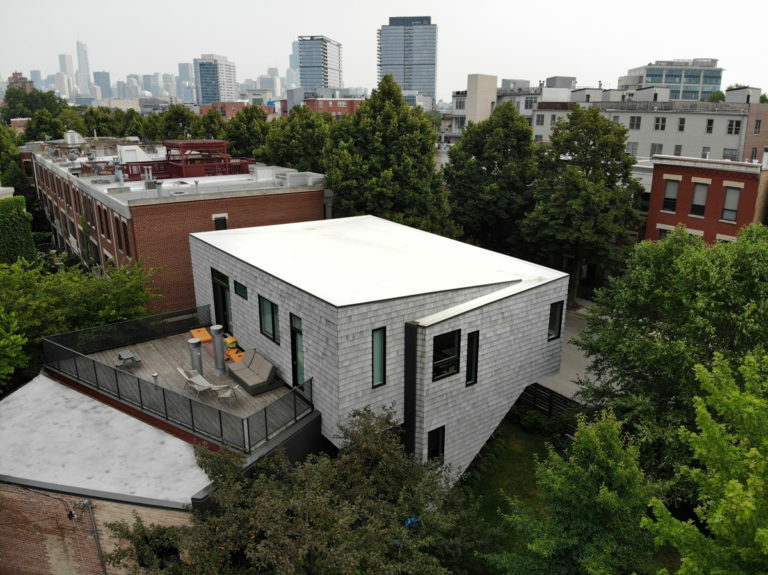 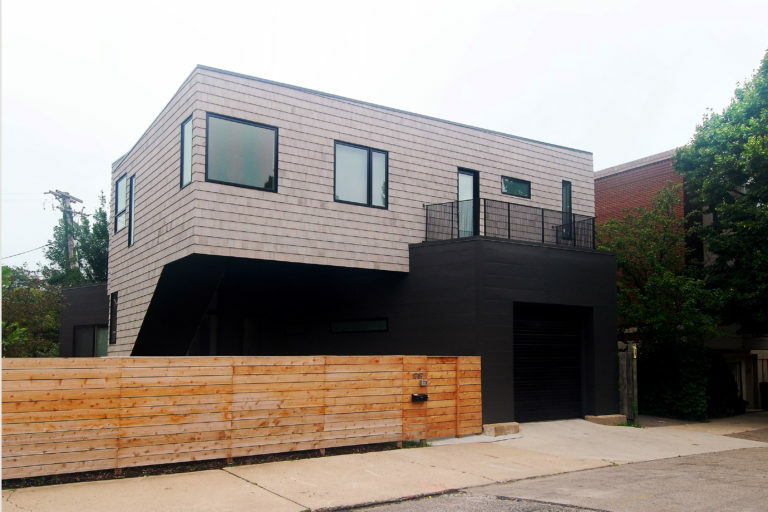 A partial rehab & second floor addition to a single-family home in Chicago’s Lincoln Park neighborhood. 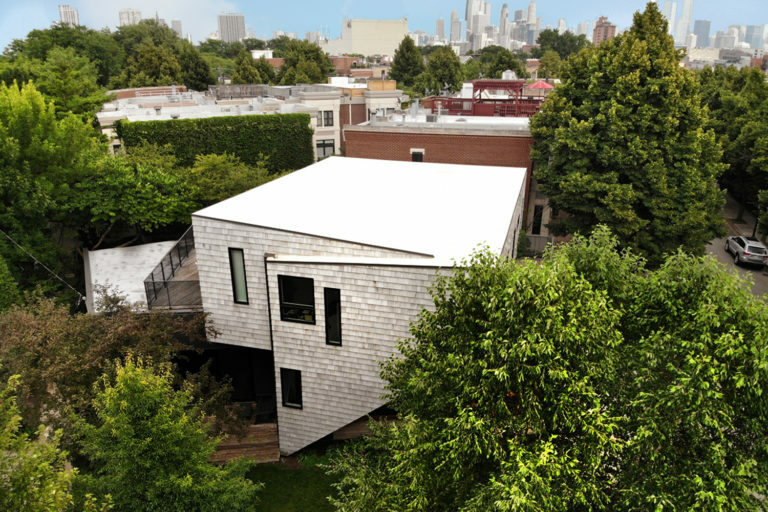 The large, oddly-shaped former gas service station lot inspired the angular forms. 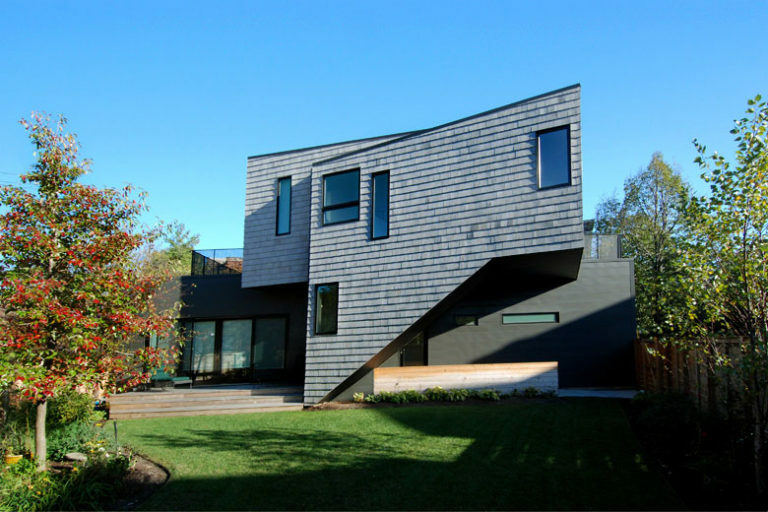 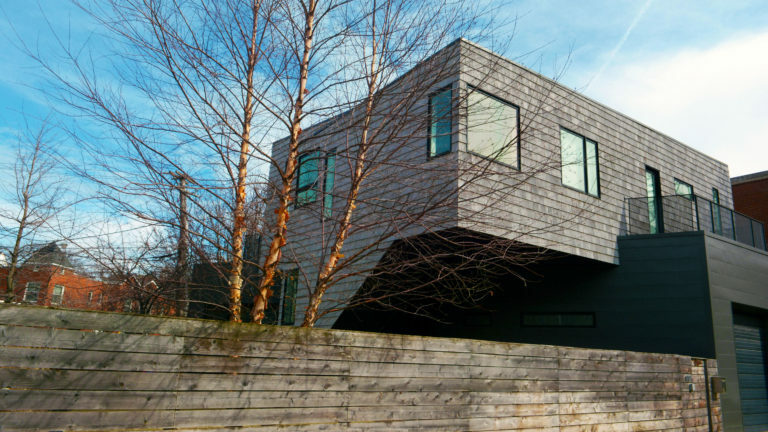 The second floor addition was designed with large cantilevered steel frame set on top of the existing masonry walls, one of which encases the new stair to avoid disturbing the existing first floor which was occupied throughout construction.